Jason Horowitz's long piece in the Washington Post about Mitt Romney's prep-school years is an absolute must-read, not least because of its revelation, confirmed by several fellow Cranbrook Prep graduates, of the the time that Mitt led a posse of students in pinning down a gay classmate and cutting off his bleached-blonde locks -- an episode the student, who died in 2004, decades later told a fellow classmate had been "horrible" to experience. This was no isolated incident -- Mitt also liked to mock a closeted gay classmate with catcalls of "Attagirl!" 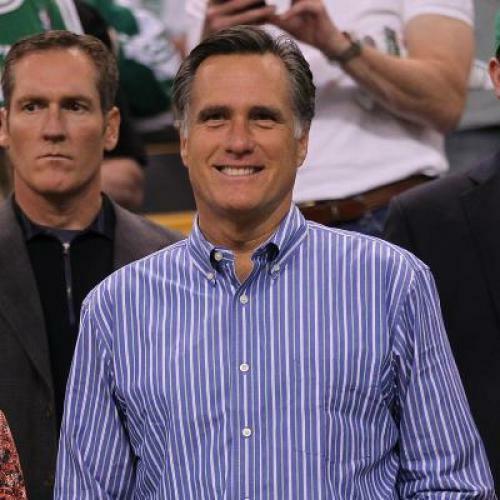 Forty years on, Mitt Romney accepted the school’s 2005 Distinguished Alumni Award. A year earlier, John Joseph Lauber died at a Seattle hospital. The boy few at Cranbrook knew or remember was born in Chicago, grew up in South Bend, Ind., and had a hard time fitting in. He liked to wander and “had a glorious sense of the absurd,” according to his sister Betsy. When the chance to get out of Indiana presented itself, he jumped at it, and enrolled at Cranbrook. He never uttered a word about Mitt Romney or the haircut incident to his sisters. After Cranbrook asked him to leave, he finished high school, attended the University of the Seven Seas for two semesters, then graduated in 1970 from Vanderbilt, where he majored in English. He came out as gay to his family and close friends and led a vagabond life, taking dressage lessons in England and touring with the Royal Lipizzaner Stallion riders. After an extreme fit of temper in front of his mother and sister at home in South Bend, he checked into the Menninger Clinic psychiatric hospital in Topeka, Kan. Later he received his embalmer’s license, worked as a chef aboard big freighters and fishing trawlers, and cooked for civilian contractors during the war in Bosnia and then, a decade later, in Iraq. His hair thinned as he aged, and in the winter of 2004 he returned to Seattle, the closest thing he had to a base. He died there of liver cancer that December. Read the whole piece. Who knows how it's going to play in the campaign -- there is a debate to be had about how much we are to be held to account for things we did at age 17 or 18. But it's hard not to see how this portrait does not add to our understanding of Willard Mitt Romney, Cranbrook Class of 1965.